Today, Norm Goldman, Editor of Sketchandtravel.com and Bookpleasures.com is pleased to have as a guest, writer and travel book author, Nancy Thalia Reynolds. 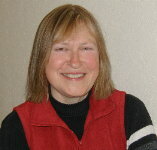 Nancy's principal area of expertise is Alaska, British Colombia, and the Yukon Territory. Nancy is co-author of Going Places Family Getaways In The Pacific Northwest. Good Day Nancy and thank you for accepting our invitation to be interviewed. Please tell our readers something about yourself, your educational background, and the books you have written and are now in the process of writing. I am a 5th generation Pacific Northwesterner. My father had a profound wanderlust and an enthusiasm for discovering new people and places that rubbed off on me. A university professor, he held jobs around the U.S. and Brazil. I lived in California, Brazil, Washington and Oregon before moving to New York at age 17 to attend Sarah Lawrence College. My upbringing allowed me to feel at home in widely different milieus and engendered deep curiosity about other lands, and I've had a passion for travel since childhood. Although I did cherish dreams of writing a great novel as a kid, the passion for travel writing came later. After college, I moved to Canada and worked a few years before attending York University Law School. On graduating, I worked at public interest law firms first in Toronto, then Vancouver where I wrote and edited legal self-help materials before moving to the US to marry. At that time I made a strategic decision to abandon law and become a full-time writer. My first venture into authoring a book was when I wrote Adopting Your Child was published in 1993. This opened the doors for me. I contributed the British Columbia section to the fourth edition of Going Places: Family Getaways in the Pacific Northwest, published in 2000, and went on to write Going Places: Alaska and the Yukon for Families, which comes out in April 2005. Both titles are available from Sasquatch Books. I just completed a new Alaska travel book, Activity Guide to the Inside Passage: Whether You Have Four Hours or Four Days. Sasquatch will publish it in January 2006. Where is the Yukon Territory and Alaska, and how easy is it to travel from the United States, Canada or Europe to these areas? Yukon Territory is bordered to the south by British Columbia, to the east by the Northwest Territories, to the north by the Beaufort Sea in the Arctic and to the west by the state of Alaska. Most of Alaska sits to the left of Canada, but the gorgeous Alaska panhandle, a narrow coastal strip with widely separated communities, many on islands, runs several hundred miles south, bordered to the east by BC. At the top of the panhandle, the towns of Skagway and Haines offer road access to the rest of Alaska, the US and Canada. The easiest way to get here is by air. International air carriers serve Vancouver and Anchorage. National carriers serve these destinations and Whitehorse (the Yukon capital). Alaska Airlines serves major Alaska cities and many smaller communities. Air Canada and its partners serve BC and the Yukon. Throughout the region, huge distances make plane travel essential. Smaller airline, charter and air taxi service is widely available across the north. From Seattle, a non-stop flight to Anchorage takes 3.25 hours. From Vancouver, a non-stop flight to Whitehorse takes 2.5 hours. Highways run north through BC and Alberta, connecting to the Alaska Highway, which starts officially at Dawson Creek, BC, and runs through the Yukon into central Alaska. It is 817 miles from Seattle to mile zero of the Alaska Highway; and 548 miles from Calgary. The Alaska Highway itself is 1,390 miles long, ending at Delta Junction, Alaska. Another 98 miles brings you to Fairbanks. The road is paved all the way, and services are rarely more than 100 miles apart--usually closer. Once in the Yukon, motorists can drive to Dawson City, ground zero of the Klondike Gold Rush, and over the Top of the World highway to Alaska. The Dempster Highway leads north from Dawson to Inuvik, through the Northwest Territories. It Is not paved but in good summer weather can be driven comfortably. In Alaska one can drive from Anchorage to Denali National Park, home of the continent's highest mountain, spectacular Mount McKinley, in eight hours on good paved highway. Four more hours brings you to Fairbanks, with road access to the Yukon and points north. Many northern highways offer good driving conditions, breathtaking mountain and ocean views, and very little traffic apart from the occasional moose or bear ambling across the roadway. Would you consider Alaska and the Yukon Territory a good choice for a romantic getaway or wedding and honeymoon destination? Why? The answer is a resounding yes--for the right couple. This region contains the world's largest protected wilderness, spanning Alaska, British Columbia, and Yukon Territory and designated a UN World Heritage site. The scenery is magnificent, access to wildlife unequalled, and despite its ever-increasing popularity as a tourist destination, has many all-but-undiscovered destinations to explore. Native cultures, largely eclipsed down south, are major players in the north, and are glad to share their world with visitors. However, if your idea of a holiday or honeymoon is lying on a tropical beach, yo will want to look elsewhere. Let's look at weddings first. Getting your wedding party up north can be a challenge, although it could also be a magnificent experience. Alaska has several five-star hotels in the Anchorage area; otherwise most choices can be characterized as comfortable but rustic. A large wedding party and guests--more than 100 people--could be accommodated in Anchorage, Juneau, Fairbanks or Whitehorse. The Captain Cook, in Anchorage, or the nearby Alyeska Resort in Girdwood, would be top choices. Smaller wedding parties can be comfortably accommodated in many places. An out-of-the-way spot like the Boardwalk Lodge on Prince of Wales Island, a great choice for fishing enthusiasts. In recent years, visitors have clamoured for a look at the world's largest brown bears (AKA grizzlies). An August trip to Katmai National Park & Preserve, with a stay at the Brooks Lodge, a short walk from brown bears fishing for salmon, is unforgettable. The lovely Windsong Lodge near Seward on the Kenai Peninsula makes a great home base from which to explore Kenai Fjords National Park where you can get up close to beautiful Exit Glacier, hike some of Alaska's loveliest trails, and kayak among glacier-carved fjords. The Yukon, especially Dawson City and Whitehorse, come to life in summer. A trip at the start or end of the season is recommended. Even in August, fall colours are rampant and yet temperatures can rise above 25C/77F. Take a day trip up the Yukon River to Eagle, Alaska. You mentioned to me that you have traveled to the north by just about every means available: plane, cruise ship, sailboat, motoring. Which one did you prefer and why? I enjoyed all of them. Driving is great because it allows the most access to the region. If you have the luxury of time, the options are infinite! For visiting southeast Alaska, travel by water is my top choice. The variety of options grows every year. At the high end are small luxury cruise lines, or you can book a sailboat, complete with captain and crew, for your party and go exploring. For most visitors, especially those unfamiliar with the region, large cruise-ship travel is often the most comfortable choice. To experience Alaska as Alaskans do, I suggest taking the Alaska ferry up the Inside Passage; it combines the most access at the least cost in time and money. And to simply get north fast and start exploring, nothing beats flying. When is the best time to visit Alaska and the Yukon Territory from the point of view of weather, costs, crowds, and the availability of flights from the USA, Canada and Europe? The most affordable time to visit is the so-called shoulder season. Up north, that is May and September. Attractions are open and flights are available, but crowds are thinner. Mosquitoes, which can be a trial throughout the north, are scarce in those months, yet days are still long. Thrifty-minded visitors can find cheaper flights and often bargain for lower hotel rates at this time. Cruise fares tend to be lower as well. For a winter trip, avoid Christmas holidays and school midwinter breaks to obtain the best rates. How safe is it to travel to Alaska and the Yukon Territory? Quite safe. The crime rate is low and human-generated risks are few. However, if you plan to get into the wilderness, you will need to be prepared, inform yourself and take sensible precautions. Read up on the terrain and the wildlife. Learn how to handle bear and moose encounters. If you are visiting in January, you will need cold-weather clothing suitable for average low temperatures of -22C/-9F. It is not unheard of for temperatures to reach -40C/-40F. On the other hand, it comes as a nice surprise to many summer visitors to the Alaska and Yukon interior that summer temperatures can soar to 27C/81F or even higher. Could you give our readers an idea of the costs involved if travel originates from the USA or Canada? Nancy: · Given the wide variety of travel options, it is hard to be precise. If you can be flexible, you can often find a return flight from Seattle to Anchorage for around $250. Although it is closer, flying to Juneau will cost more, from $50-100 usually--US dollars of course. From Vancouver to Whitehorse, return; expect to pay at least $200, Canadian. · Drivers will find gasoline prices moderate in Canada and low to moderate in Alaska, thanks to the oil pipeline. · Restaurant prices run higher everywhere; budget about 20% more than you'd need in urban Canada or the U.S. Motel and hotel costs are similar to those down south; don't be afraid to bargain during the off or shoulder season. · Cruise fares are complex and bewildering, but if you are prepared to do the homework and cost comparison required, you can obtain remarkable deals. It is possible to snag an inside stateroom for a seven-day cruise between Vancouver and Seward, Alaska, for under $700 per person. This includes stateroom and meals, but no alcohol or shore excursions. Still, it is a deal that is hard to beat. For a romantic getaway, consider traveling in the early shoulder season and apply the savings to upgrading to an outside stateroom with a veranda. If you had to choose 6 unequalled venues in Alaska and the Yukon Territory for a romantic getaway, honeymoon or wedding destination, which would you choose and why? I noticed that you had mentioned to me there is some great hot springs just south of the Yukon border on the Alaska Highway and in central Alaska. Perhaps, you would like to elaborate as how this venue qualifies as a unique romantic destination? Only 6? That is not easy; I will have to commune with my inner travel agent! OK, here goes. For more information, my book Going Places: Alaska and the Yukon for Families explores each of these destinations in greater detail. Government Web sites are another good resource. It is accessible (Alaska Airlines offers service to Gustavus, just outside the park) and offers a taste of just about everything the north has to offer. Although Gustavus has excellent B&Bs, for honeymooners I recommend staying at Glacier Bay Lodge, the only accommodation inside the park, which offers rustic comfort (get a room with a view of Bartlett Cove), fine dining, and activities like kayaking, fishing, biking, guided boat tours of Glacier Bay, and free guided hikes with park rangers. Go flightseeing high above the bay to get a look at the enormous icefields that generate the glaciers. If time allows, extend your trip to Juneau (a gorgeous, 3-hour ferry trip south) to visit Mendenhall Glacier, tour superb museums, shop for Tlingit art and take a boat tour to Tracy Arm-Ford's Terror Wilderness. The lodge is open and tours are offered between late May and early September. Come again? You may never have heard of it, but this tiny town perched at the edge of Canada's spectacular Kluane National Park has a lot to offer--location, location, location, as they say in real estate. It is highway-accessible from Skagway (4.5 hours), Haines (3 hours) and Whitehorse (1.5 hours). The national park's main visitor centre is in town along with a superb small European-style inn--the Raven--with 12 spacious rooms and one of Canada's top restaurants. Also in town are several decent motels and an excellent bakery and cafe. From here, you can access excellent hiking trails for all levels of fitness, and explore the largest protected wilderness in the world. You will need a vehicle. If you don't have one with you, rentals are available in Haines, Skagway and Whitehorse. Or book a stay with one of the area's full-service resorts and let them take you exploring. NOTE TO CANADIANS: For reasons no one seems able to explain, Canadians are not permitted to bring a vehicle into Canada, which they have rented in the US. Luckily, Whitehorse has many rental outlets. On the southwest of the Kenai Peninsula, Homer is the better part of a day's drive from Anchorage. It is tiny (about 4,000 residents) but with city-sized amenities--such as one of Alaska's best bookstores, a first-rate museum, and exceptional arts and crafts galleries. Homer Spit, which extends 4.4 miles into scenic Kachemak Bay, is studded with cafes and shops. At the far end, with Homer's best view, is Land's End Resort, a great destination for honeymooners. Book a suite or rent a luxurious condo. The restaurant is first rate. Soak in the hot tub at the water's edge and watch the sea otters float by. First the bad news: Unless you are lucky enough to win the road lottery that allows you to drive deep into the park in mid September, you will have plenty of crowds to contend with. The good news is that it is worth it. Not only is this closest you can easily get to Mount McKinley, wildlife viewing and spectacular scenery are among the best in Alaska, and accommodation choices are superb and varied. At the park entrance you can find many choices at all price ranges, some with views to die for. To get away from the crowds and closer to the natural world of Denali, consider a stay deep inside the park at the beautiful, rustic Kantishna Roadhouse or Denali Backcountry Lodge. OK, it is not in the Yukon, but so close! This gorgeous turquoise lake lies in the northern Rocky Mountains--a little-known but enchanted region where caribou and stone sheep wander the highways, fishing is excellent, and crowds are nonexistent. The Northern Rockies Lodge offers fine accommodation and European dining and arrange fishing and other excursions. Hiking and fishing are great here, but the number-one romantic attraction is nearby Liard Hot Springs Provincial Park, 34 miles up the Alaska Highway. A boardwalk trail leads from the park's parking lot to two large hot springs pools. TIP: A short walk from the first, most popular pool is the second hotter and deeper pool that is more secluded and less visited, a great destination on a drizzly day. Stopping at the springs is a tradition for just about everyone who drives the Alaska Highway. If you don't want to bother with a vehicle, the lodge (it is owned by bush pilots) will fly you here from the US or Canada. You have also mentioned to me that Asian tourists in recent years have been flocking north in winter on aurora-viewing packages. Could you elaborate as to what these entail and what can someone expect to see? These are great fun and growing in popularity every year. For some years, Chena Hot Springs Resort, a rustic but delightful spot a few hours drive from Fairbanks, Alaska, has been offering such packages. The resort has always been a favorite getaway for Alaskans for winter sports like cross-country skiing and snowmobiling. The resort has several indoor hot pools, but the favourite is its hot-springs lake outdoors. Bask in the warm waters, surrounded by snow and subzero temperatures, while you gaze up at the aurora overhead. Winter packages include rides on a snow catch to view the aurora. The aurorarium, nicely heated, offers a comfortable vantage point to watch the light show. Yukon and Alaska tour companies now offer aurora-viewing tour packages, usually three or four nights. In recent years cruises to Alaska have become very popular. Could you tell our readers why and do you have any preferences as to which cruise to take? The answer is simple. Some of Alaska's most spectacular attractions are to be found along the Inside Passage. Yet, because they are separated by water and most are inaccessible by road, the only way to reach them is by plane or boat. Another reason: cruise travel is a remarkably flexible way to plan a vacation. No matter your age or fitness level--honeymoon couples, large wedding or family-reunion parties, toddlers, college students, and retirees--anyone can enjoy a cruise. There is onboard entertainment (usually casino gambling, art auctions, Vegas-style shows, and gala dining), programs for kids, shore excursions to sample the principal attractions of major ports of call and whales, bald eagles and other wildlife to view, all from the comfort of the ship. Cruises permit access to a beautiful but remote and rugged part of the world in sheer luxury. Visiting Alaska, I often encounter visitors who are making their third or fourth trip, but whose first was by cruise ship. Considering the bargains available, it is also one of the most cost-effective ways to visit the north. For those unfamiliar with Alaska, I recommend taking a one-way cruise from Vancouver, BC, that includes a visit to lovely Sitka (round trip cruises rarely stop at Sitka). Finishing at Skagway, Whittier, or Seward, visitors can make their way to Anchorage for a couple of days and even tack on a short 2-3 day train trip to Denali before flying out of Anchorage back to Vancouver or the point of origin. TIP: check out one-way airfares offered by the cruise lines. They are often cheaper than anything you can arrange on your own. Amenities among the biggest cruise lines tend to be similar. For a romantic getaway on a major line, I like Royal Caribbean, Radisson or Silver Sea. If you can do without a pool and gambling, try one of the smaller lines like Cruise West or, Lindblad (if your wallet can handle the strain). How far in advance should a couple prepare themselves for their honeymoon, romantic getaway or wedding in Alaska and the Yukon Territory? We are trending out of my area of expertise here, but let's take a wedding first. If you need lodging for 20 or 30 people, you will find a wide range of options, many of which can be booked with no more than 6 month to a year's notice--the amount of advance planning most weddings require. If, however, your guest list includes 80 or more, you will find fewer suitable destinations and those you do find will need to be booked as soon as possible. A popular choice for weddings, such as the Alyeska Resort, can be booked far in advance. For a honeymoon, if you want the top suite at the Captain Cook in Anchorage, a remote but popular resort such as the Kantishna Roadhouse in Denali or a first-class suite on a popular cruise ship, the sooner you book the better. Otherwise, six months should be adequate. And for a romantic getaway, surprisingly you can often make spur of the moment plans--especially if you are willing to travel in May or September--and find topnotch options. TIP: if you are looking for a great place to roost during the summer high season, try towns along the Inside Passage. Because most tourists visit via cruise ship or ferry and don't spend the night, you can often find excellent accommodation in Ketchikan (try the WestCoast Cape Fox Lodge with a spectacular view of Tongass Narrows), lovely Sitka (the Westmark Sitka is a good bet) or Haines (the historic Hotel Halsingland has several antique-studded suites). But in Juneau, the state capital, if the legislature runs a summer session the top hotels--the Goldbelt and the Baranof--are likely to be booked solid. What resources are available on the Internet pertaining to weddings and honeymoon vacations? Again, this is not my area of expertise. The ALYESKARESORT.COM has a wedding and reception planning page on its website. Anchorage has several wedding planners, but I am not aware of any in Whitehorse. However, a nice thing about the north is the informality and ease of booking and planning a trip. And maybe it is the long cold winters, but even tiny communities in the Yukon and Alaska usually have up-to-date web sites and are more than happy to help you find what you are looking for. Is there anything else you would want our readers to know about Alaska and the Yukon Territory? Just one more tip--for adventurous-minded couples with more taste (and wanderlust) than money, consider touring the Inside Passage via the Alaska ferry. Ferries run north year round from Bellingham, in Washington State, 20 miles south of the Canadian border, and from Prince Rupert, BC, up to Skagway, stopping at Ketchikan (Bellingham-originating runs only), Sitka, Juneau and Haines. Their website (www.dot.state.ak.us) is handy for trip planning. Amenities are admittedly Spartan--but private--staterooms for two or four passengers, with bath. Bring your vehicle and pet with you. Food is good and free naturalist programs are offered in summer. It is easy to craft an itinerary allowing you to get off and stay a night or two in each destination before continuing on. If you want a stateroom and/or you're bringing a vehicle, you will need to book six months in advance. Or you could do as Alaskans (even some honeymooners) do--pitch a tent on deck and enjoy the wild beauty of Alaska at a remarkably low cost.